Motorola’s wearable Android(s goog), the MotoActv, may be marketed as a fitness tracker, but with each new software update, it becomes a smarter smart watch. The company has released software upgrade version 7.2 which improves tracking for golf shots, fitness zones via heart rate monitors and map views after a workout. After installing the software update, owners will also have direct access to Facebook wall posts and Twitter messages from their Bluetooth connected Android phone. I like Motorola’s approach to this class of device because while I’ve seen and tested a number of wearable connected devices, few have delivered either a positive experience, wide range of useful features, or both. 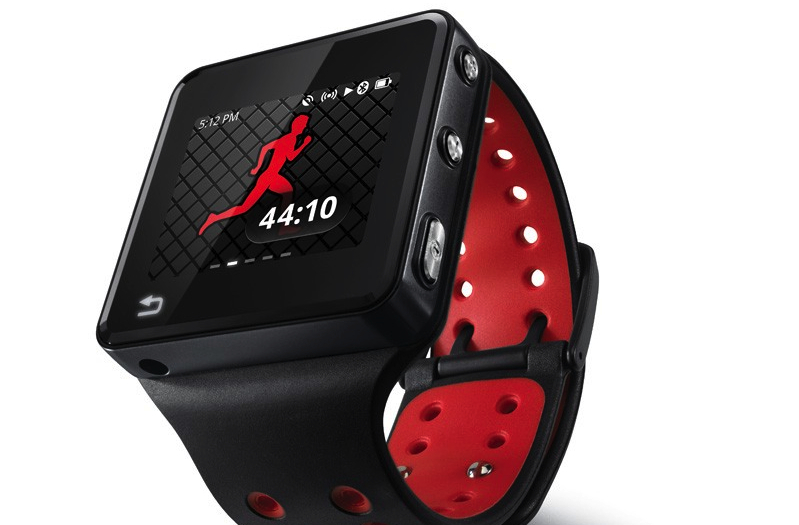 Instead of putting out a half-baked product, Motorola designed and marketed the MotoActv to fitness enthusiasts from the beginning and recently added golf functions while a few smart watch functions went along for the ride. And even those — notifications for email, text messages and caller ID — were first limited to Motorola-branded phones. Eventually, the smart watch features were extended to all Android phones, not just those made by Motorola. The company also fixed initial battery issues and at that point, I bought myself a MotoActv for my daily running: The integrated GPS provides route, elevation, pace and time. Once I realized the accelerometer could track steps, I ended up wearing the MotoActv every day, and I still do. But I haven’t been using the phone notification feature. Now that the updated device includes support for Facebook and Twitter, I may enable that feature. But I had commented to a fellow golfer during the round that I wish the MotoActv didn’t treat all putts the same: It only captures how many putts used on each hole. Lo and behold, just a day later, the new software update allows putt tracking for short, medium and long putts, making the data capture even more useful. Interesting to me is how Motorola still isn’t positioning the MotoActv as a smart watch, although I think most would consider it one if they knew the capabilities. Then again, many people haven’t yet heard of smart watches. It’s a clever move to instead market the device as a known item — a fitness tracker — and then keep adding smartphone-assisted functions and other improvements. Motorola’s MotoActv may be the best smart watch to date; just don’t call it a smart watch! I heard a lot of great things about this watch. You can visit our store at http://iphonewatches.net/ for great prices on this and other smartwatches! Hey Kevin, nice to see you staying in shape with fitness tech. I would like to raise a point here please that Motorola may be actually doing some big mistakes with the Motoactv. First of all these fitness devices need to show differentiation and added services/features than the easy alternative of just taking your compact cell with you. Our smartphones have software to support pace and GPS oriented running capabilities. Therefore, on that front I think most people will agree with me that the HRM is the biggest added service to make our fitness monitoring much more accurate. The problem is that the MotoActv is not coming with a HRM OOTB. Its pricy for sure! and then you need to add the HRM. They should include the ear HRM which are a great tech innovation as part of the basic package.